We say it all the time: see us twice a year for a dental checkup. And thank goodness, most of our patients at The Steele Creek Dentist in Charlotte are really good about making and keeping their appointments. It’s the best way to stay on top of their dental health. As important as healthy teeth are, you should know that good dental health is also directly related to your overall health. Poor dental health has been linked to various diseases and conditions, such as heart disease, premature birth and low birth weight, and diabetes. Furthermore, poor dental health leads to gum disease. With regular brushing and flossing, and twice yearly dental checkups, gum disease is 100 percent preventable. The above should be enough to get anyone in to the dentist’s office twice a year. But if it isn’t, here are three more very good reasons why you should get a cleaning and checkup every six months. Plaque and tartar. Even with brushing and flossing twice a day, plaque can build up on the teeth and gums. Plaque hardens into tartar. Simply put, there are areas in the mouth that your floss and toothbrush just cannot reach. Professional cleanings, however, can. X-rays. By taking dental x-rays and updating them regularly, we can detect problems that a simple visual inspection won’t turn up. The sooner new issues are treated, the better: treatment will be easier, less painful, and less expensive. Oral cancer. It isn’t just smokers who need to be concerned about oral cancer; anyone can get it. Finding it in its earliest stages gives you the best chance for successful treatment and a full recovery. We can check for any symptoms, and if we find them, tell you what you need to do. As you can see, there are lots of reasons why it’s important to see The Steele Creek Dentist in Charlotte twice a year for a dental checkup and cleaning. We also provide general and cosmetic dentistry. Schedule an appointment today! For good dental health, you should visit The Steele Creek Dentist in Charlotte twice a year for a cleaning and checkup. This is a good time to make sure that you are brushing and flossing properly. It is also important that you discuss issues related to dental health. Make sure to tell us about any medications that you are taking. If you are using any tobacco products, we need to know that, too. We might be able to offer you a program that can help you stop. Your regular check-up is also the perfect opportunity to inquire about cosmetic dentistry procedures. We can combine multiple procedures to give you a total smile redesign. If you have ever wondered what a new smile could do for you, now is the time to find out! At The Steele Creek Dentist in Charlotte, we offer general and cosmetic dentistry. We make seeing us as convenient as possible with evening and weekend hours. Schedule your next appointment with us today. Too tired to touch a toothbrush? We’ve all been there. The team at the Steele Creek Dentist in Charlotte are committed to helping patients maintain good dental hygiene and to correct imperfections that can lead to inhibited confidence and self-assurance. WIth that in mind, we are offering two good ideas for overcoming exhaustion in favor of brushing and flossing late at night. As you lie in bed after a long thankless day, and realize you forgot to brush, drag your tongue over your teeth a few times. Mentally review how plaque and tartar form. Within 48 hours they can start the dirty work of eating away at the teeth. See if that motivates you to jump up and give your mouth two minutes of gentle, thorough cleaning. Another convenient and simple approach is to pay attention to what’s going into your mouth throughout the day. The higher the sugar content, the sooner the teeth will need a brushing to avoid harm. Swish with water after coffee, tea or soda if brushing isn’t going to happen soon. Chewing sticky candy leaves debris all over in the mouth as does bread and crackers. Keep this in mind and commit to take care of the particles as soon as possible. We know a long day of work or play can wear anyone out. 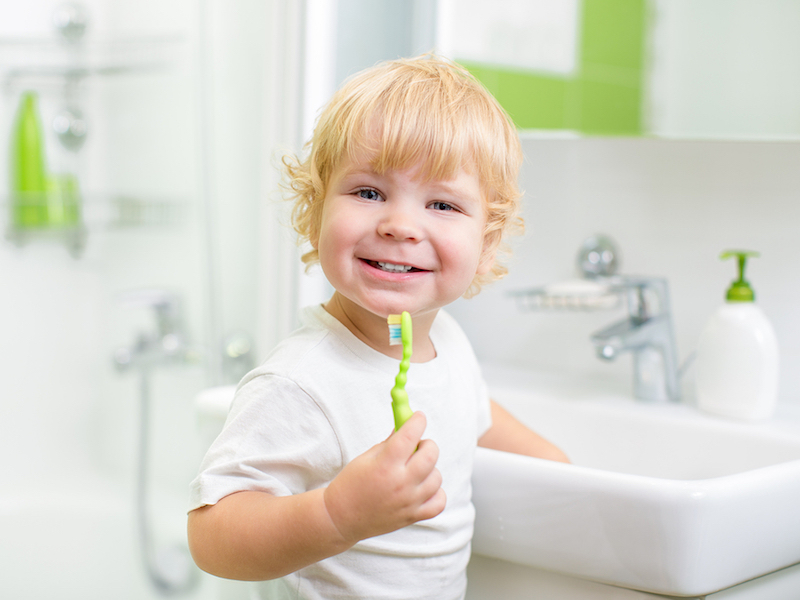 Likewise, we know consistent brushing will lessen buildup and help prevent decay and gum disease. And we know that sometimes cavities need filling, chipped teeth need fixing, crooked teeth need straightening, and wisdom teeth need extraction. The Steele Creek Dentist in Charlotte offers general and cosmetic dentistry. Schedule an appointment with us today. The subject of this blog post is energy drinks and how they can weaken your teeth. At The Steele Creek Dentist, we are seeing more and more patients with tooth enamel erosion caused by repeated consumption of sports drinks. Most of these men and women take good care of their teeth, brush and floss, and come into The Steele Creek Dentist for a twice-yearly exam and deep cleaning. But guess what? 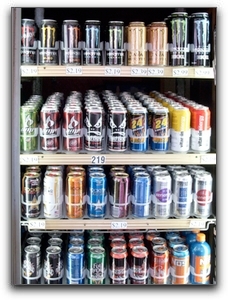 If you drink energy drinks regularly, your enamel can erode even if you practice oral hygiene. Beverages like Red Bull, Rock Star, and Monster are a cocktail of powerful acids and other enamel-eroding ingredients. Most of them contain citric acid, fruit juices, loads of sugar, and a potent chemical that gives them their bright fluorescent color. We are concerned by this significant oral health risk. We need to add the caveat that soda and fruit juices also contain acids that can weaken teeth. If your teeth have enamel erosion, whatever the cause, The Steele Creek Dentist can restore your smile with general and cosmetic dentistry. Schedule an appointment with us today. No matter what age you are, as long as you have teeth, dental exams are an important part of keeping your smile healthy and beautiful! At the Steele Creek Dentist in Charlotte, we’re here to help. Dental exams are often put off because they can be seen as unnecessary. But exams are truly one of the best methods for preventative care. 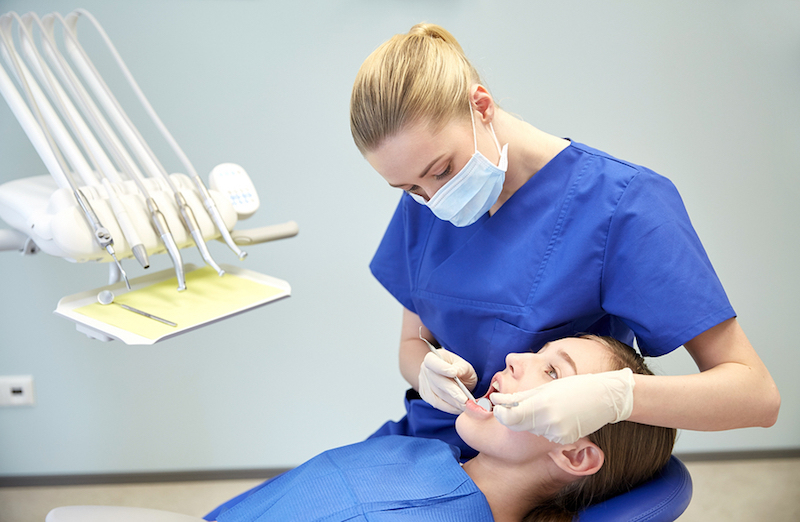 At each check up, our hygienists will thoroughly clean your teeth. Once they are polished sparkling clean, your teeth and gums will receive a comprehensive analysis. They will be inspected for cavities, recession, excessive wear, and other problems. Catching them early is crucial so they don’t turn into larger issues. Technology is moving swiftly, so it’s essential to find a dental office that has the latest instruments to ensure your check up is detailed and comprehensive. At The Steele Creek Dentist, we have state-of-the-art technology that is used for your exams. 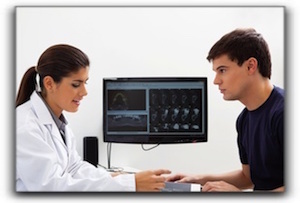 If a problem is detected, an appropriate, individualized treatment plan will be designed. Checkups and cleanings at The Steele Creek Dentist in Charlotte are essential to your dental health. We also provide general and cosmetic dentistry.